On TV: RTE 1 Sunday 31st August at 21.30. 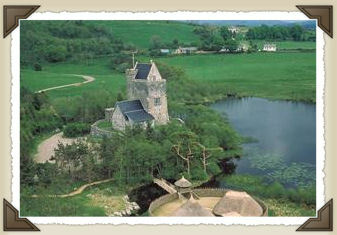 Come and experience Ireland’s history and heriatge from Bronze Age to Medieval Times. The Lughnasa event features a fantastic array of costumed re-enactors depicting life in Ireland from the Bronze Age to Medieval times. To celebrate Lughnasa, RTE will be broadcasting live from Craggaunowen on Sunday July 31st. The show will be a combination of live chat, music and food where well known celebrities will celebrate the ancient festival of Lughnasa and reconnect the audience with one of the, until recently, most important dates in the Irish calendar. The live show will be informative and entertaining and broadcast from a very evocative location – the IRON AGE fort at Craggaunowen. There will be lots to see and do including combat demonstrations, brehon law trials, ancient cooking demonstrations, artefacts and weapons display, ancient fun and games for the kids and much more!